This exclusive promotion is available from now through December 31. The Footlogix five-piece Back Bar Kit, which includes essential products for a wellness pedicure will be available for an exclusive promotion from now until December 31. 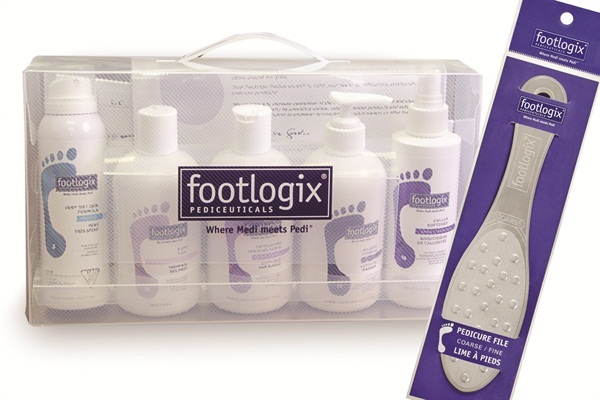 Buy a Footlogix Back Bar Kit and get a Professional Stainless Steel Pedicure File for free. The kit can help increase revenue potential while decreasing pedicure costs. The double-sided sterilizable stainless steel foot file yields best results when used with the callus softener.